Wonder why I haven’t been to a ballpark lately? In a nutshell I am taking a small break while I prepare to move. That’s right, the Hot Dog Explorer is pulling up the tent pegs and headin’ west. My stint in the midwest is, after nearly seven years, over. My time here was fun. The midwest loves baseball and hot dogs. I won’t miss the twisters though. I lived smack dab in the middle of tornado alley. The only thing scarier than a tornado is trying to decide whether to eat a hot dog with a frank that was prepared after its “best served by” date. I am headed to the high desert. Santa Fe, New Mexico to be exact. I know you probably thought I would head to Roswell to wait for the mothership to return. I would, but I have acclimated to this planet so well I have decided to stay. The good news is: Sonoran Hot Dogs. The bad news: very little baseball in the area. 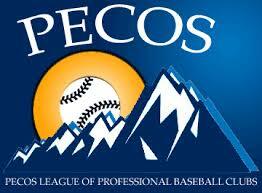 I am about to become very acquainted with the independent Pecos League. I’ll keep you filled in. I begin the last leg of my trip to hit the remaining seven MLB ballparks and a slew of of MiLB stadiums on August 1. Look for the blog posts to come fast and furious the first part of August. And, I have a large backlog of Hot Dog Hot Spots to share with you after my trip. 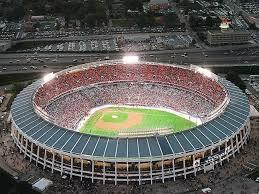 Additionally, I did see a game in Memorial Stadium in Baltimore. But it was a Baltimore Colts football game. You know what I miss about those old ballparks? Very little. We did baseball a favor by bulldozing those places and replacing them with slicker, new facilities. And since then, I believe those ballparks have upped their hot dog game as well. There are better and more creative selections. For a reason I have not discovered, old ballparks can’t compete in hot dog tastiness. Case in point: Fenway Park. Great old ballpark...terrible hot dog. My favorite of the old ballparks that no longer have baseball? 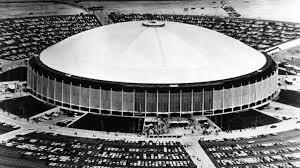 Probably the Astrodome. When I was a kid it was billed as the “Eighth Wonder of the World.” It was big and cool and modern. Today it is dwarfed by the football stadium next to it, and retractable roofs are way cooler. What those parks did have in their favor were the fans. They actually came to watch the ballgame. Have a favorite park that you have visited that no longer has a team that calls it home? Tell us about it.